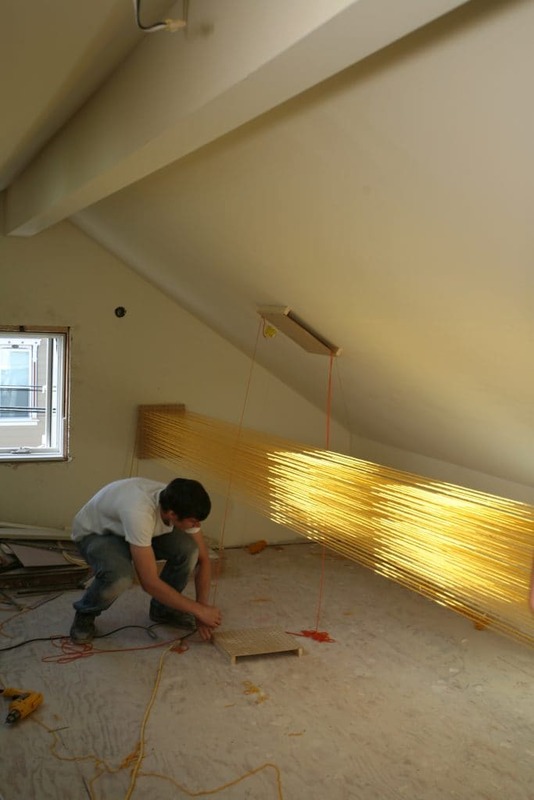 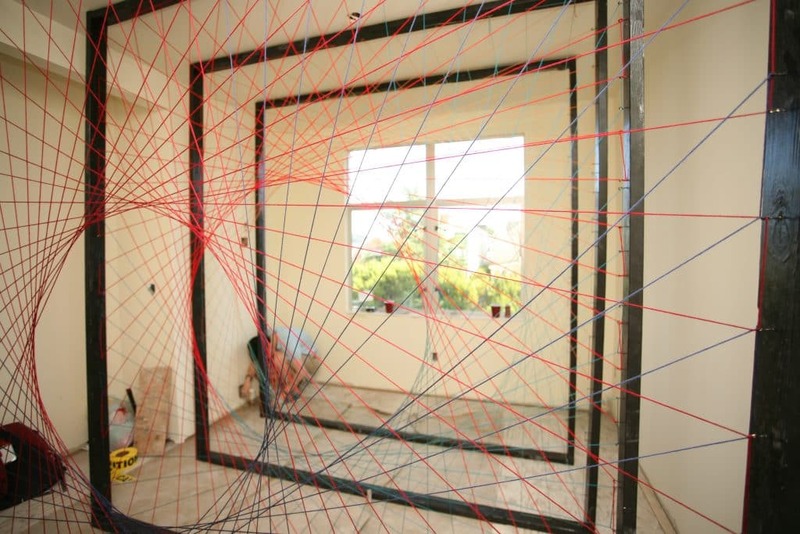 The final project for a course taught at Stanford University, which focused on light and color in architecture, site specific installations were installed at a project under construction in Noe Valley. 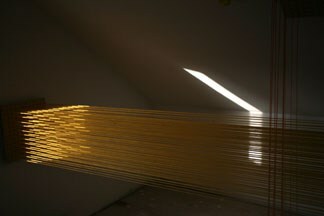 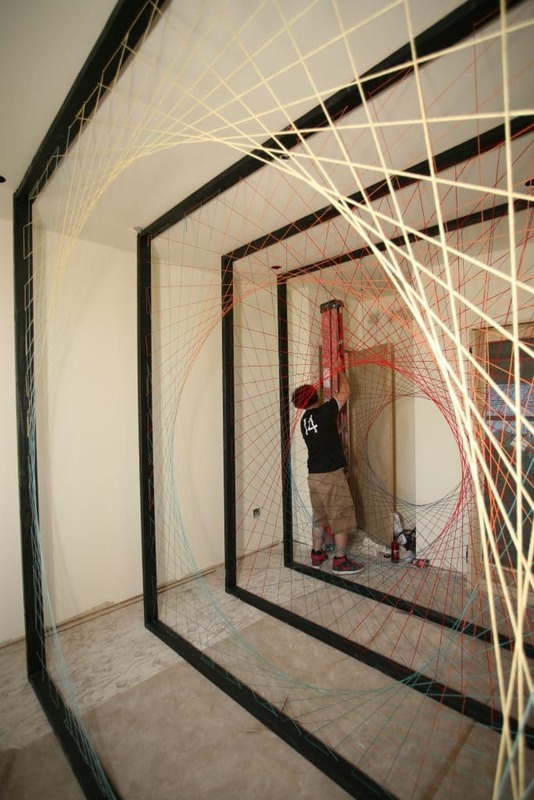 Groups of students were asked to transform a space using colored string. 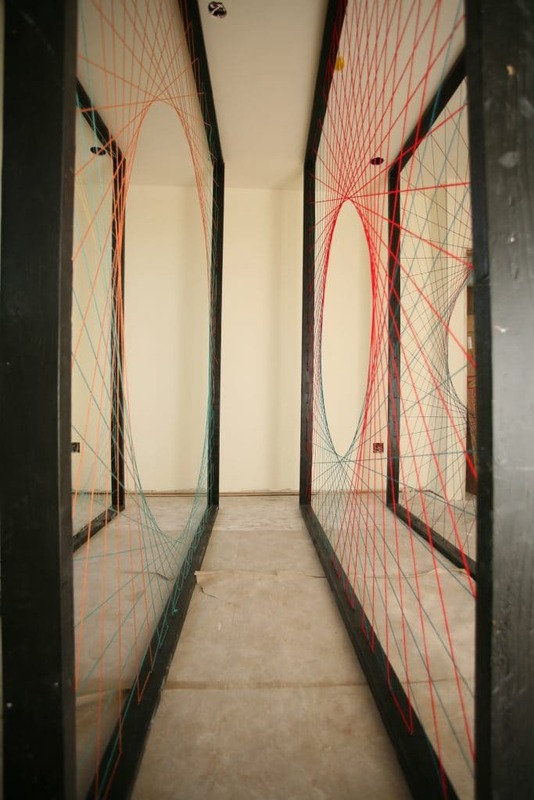 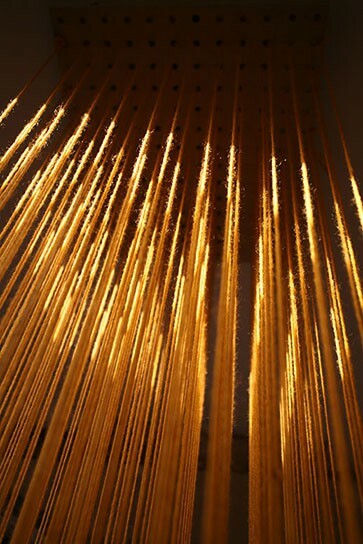 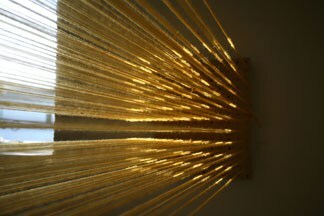 Installations addressed the variable light conditions of each site, using string as the medium to capture light and redefine the spaces.